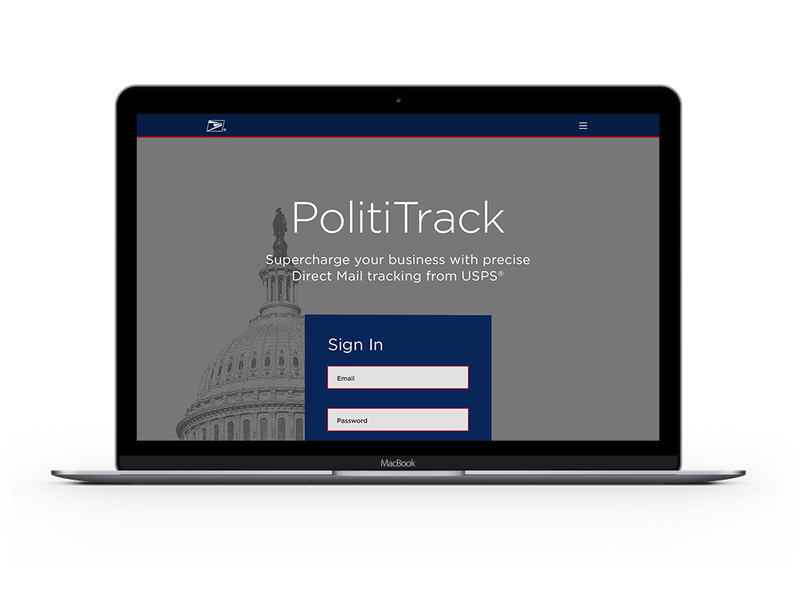 Polititrack was a proposed application for the United States Postal Service. 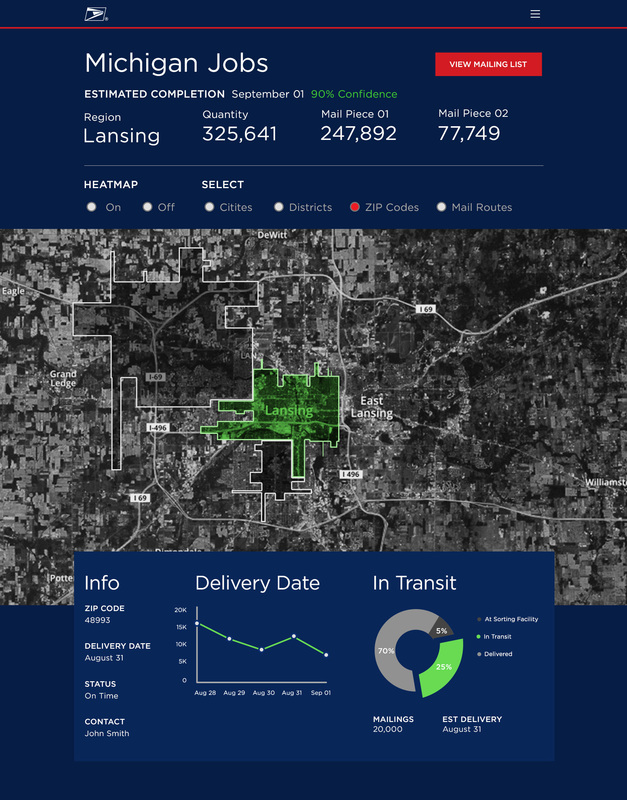 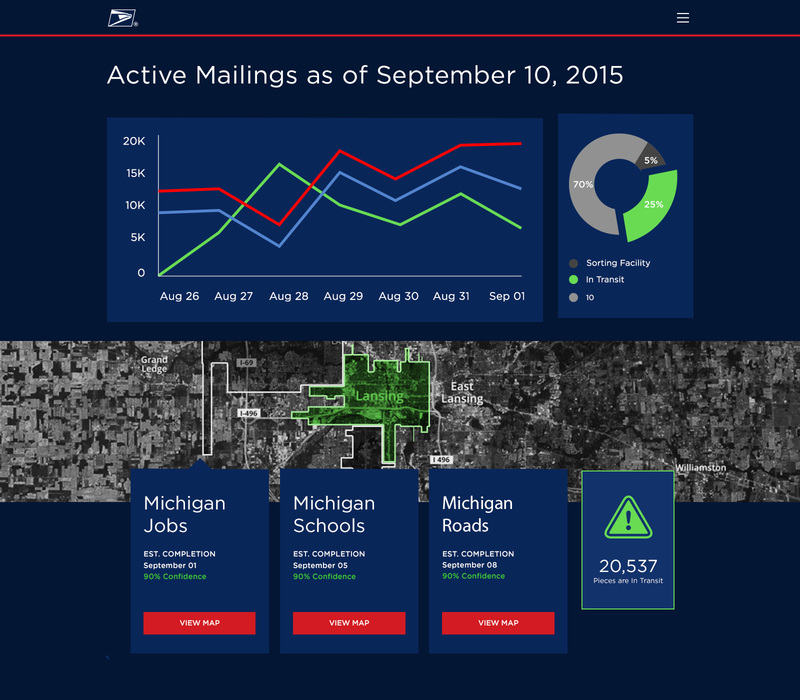 Political parties, Super PACs, Unions, or any other organizations could use Polititrack to visualize and coordinate when mailings are getting sent out, what segments of the population are receiving them, and how well the mail pieces are being received. 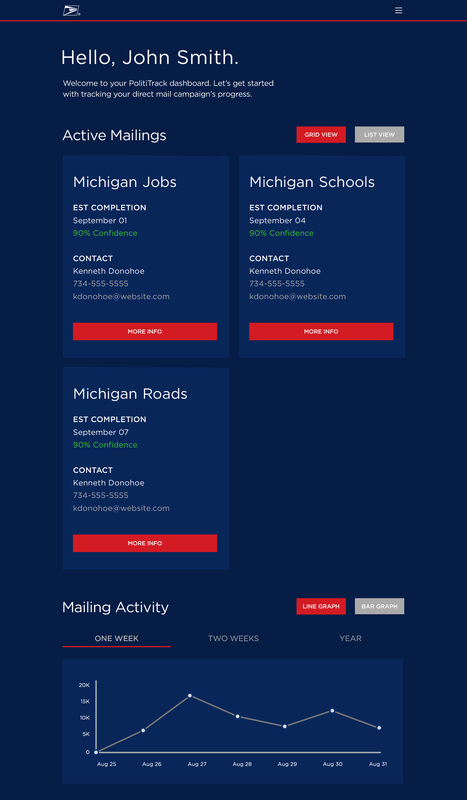 Working with the UX team, I was involved in the overall concept, functionality and visual design of the website.